You are at:Home»Resource by product»Mnova SMA»SMA coupled to PCA: Let’s do it! 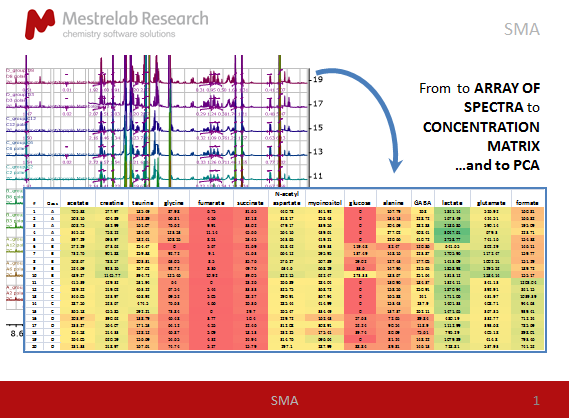 Dr. Silvia Mari, Metabolomics and Chemometrics Solutions Product Manager at Mestrelab Research gave us a very interesting webinar about performing Simple Mixtures Analysis (SMA) coupled to Principal Components Analysis (PCA). 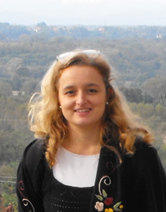 Silvia obtained PhD in Chemistry in 2006 in Madrid (Spain) under supervision of Prof. Jesus Jimenez-Barbero. She focused her research on small molecules conformational analysis and protein-ligand interaction studies by NMR. In 2007 she moved to Dulbecco Telethon Institute c/o S. Raffaele Scientific Institute in Milan, where her research focused on development of advanced methods for monitoring in vivo ligand-target interaction and structure determination and validation by NMR (in collaboration with Molmed SpA company) and implementation and application of NMR metabolomic approaches within San Raffaele Hospital in Milan. In 2011 she started a consulting company called R4R (Research for Rent) and from March 2015 she was appointed as Metabolomics and Chemometrics Solutions Product Manager at Mestrelab Research. In this webinar Silvia will cover new Mestrelab’s developments in the field of chemometrics analysis. 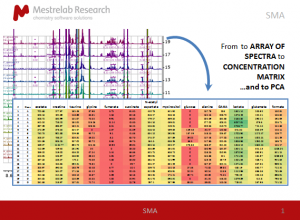 The different strategies to profile an array of spectra using SMA plugin will be discussed, providing different output matrixes. Silvia will overview the new Chemometrics module under Mnova and discuss the different options to load matrixes coming from SMA directly, as well from binning strategies. At the end of the talk Silvia will run a PCA analysis and overview results in terms of loading and score plots and discuss advantages to use a tandem SMA and PCA analysis to extract suitable variables for further linear regression modelling.